To celebrate the 70th anniversary of the United Nations, the Dag Hammarskjöld Library is presenting an exploration of the seventy key documents that have shaped the United Nations and our world. As World War II continued to rage, President Franklin Delano Roosevelt of the United States and Prime Minister Winston Churchill of the United Kingdom met in August 1941, on a ship in the Atlantic Ocean to lay down a vision for a post-war world. There they would agree to a "common program of purposes and principles" embodied in text of the Atlantic Charter. It was later signed by the rest of the allied governments. 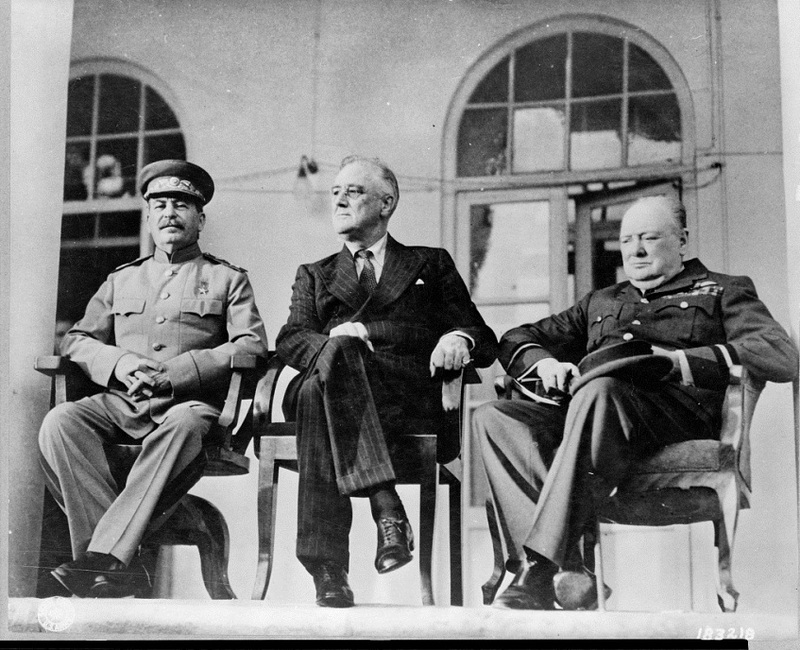 On 1 January 1942, President Roosevelt; Prime Minister Churchill; Maxim Litvinov, of the U.S.S.R; and T.V. Soong, of China, signed a short document which later came to be known as the United Nations Declaration. The next day representatives of twenty-two other nations added their signatures. This important document pledged the signatory governments to the maximum war effort and bound them against making a separate peace. 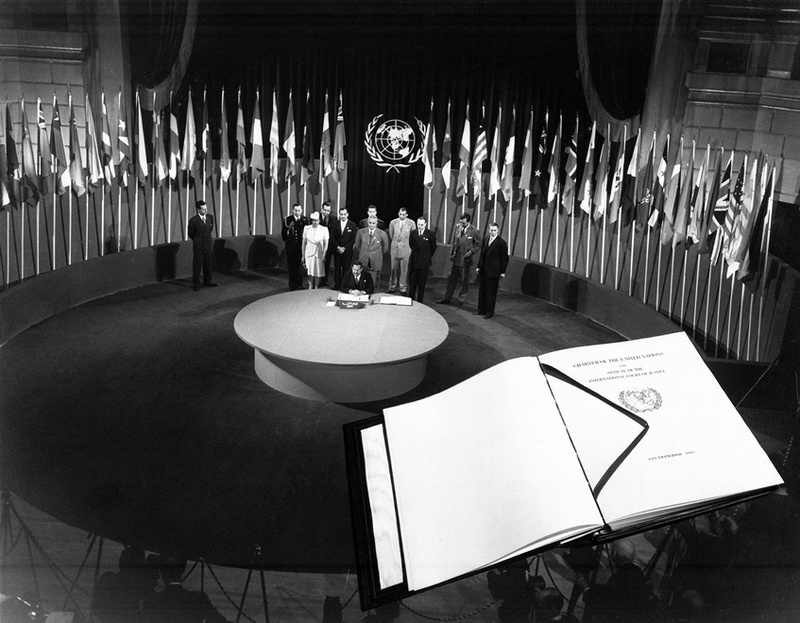 It marks the first time the term "United Nations" was ever used. 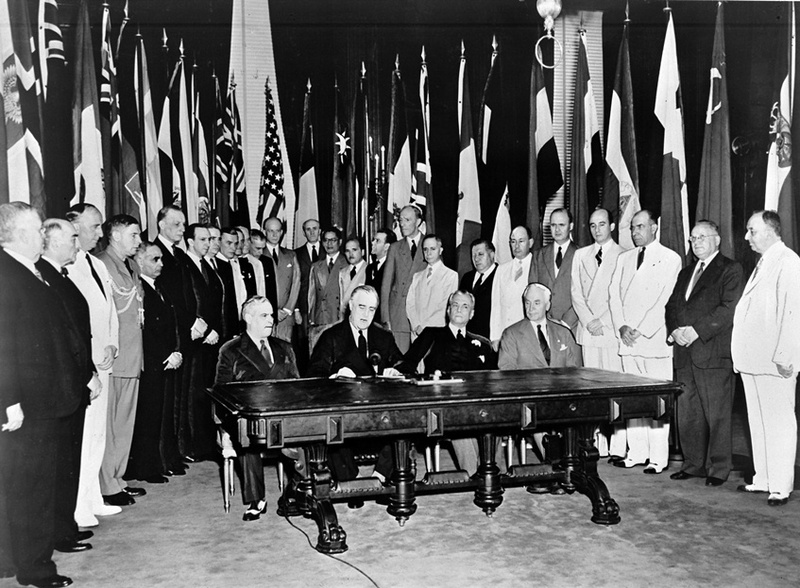 On October 30, 1943, the foreign ministers of the United States, the United Kingdom, the U.S.S.R. and the Chinese Ambassador to Moscow issued the Declaration of Four Nations on General Security, which contemplated the establishment at the earliest practicable date of a general international organization. In the following month between November 28 and December 1, 1943, President Roosevelt, Prime Minister Churchill, and Soviet Premier Stalin held a meeting in Tehran, Iran. 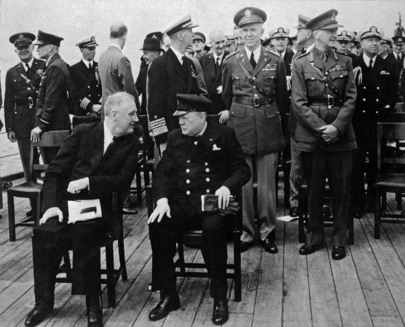 It was during this Conference that the three leaders coordinated their military strategy against Germany. The most notable achievement of the Conference was the focus on the next phases of the war against the Axis powers in Europe and Asia. The United Nations Relief and Rehabilitation Administration (UNRRA) was created by an agreement signed by 44 nations in Washington, D.C. on 9 November 1943. 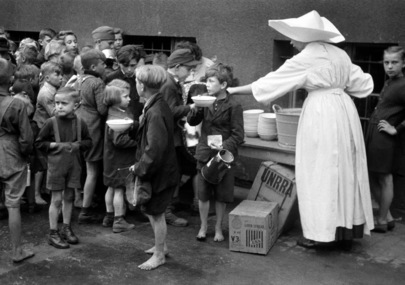 The organization's mission was to provide economic assistance to European nations after World War II and to repatriate and assist the refugees who would come under Allied control. UNRRA provided a mechanism to facilitate relief from suffering of war victims and the return of prisoners and exiles to their homes. 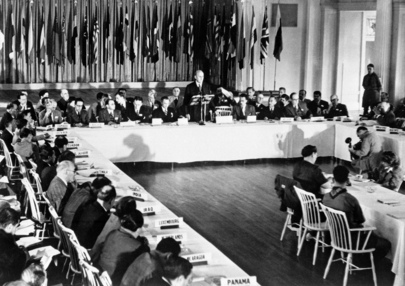 In July 1944, representatives from 44 nations met in Bretton Woods, New Hampshire, for the United Nations Monetary and Financial Conference. More than a year later, representatives of 28 nations gathered at the State Department in Washington, D.C. to sign the Bretton Woods Monetary Agreements which had preliminary been agreed upon at the Bretton Woods Conference. 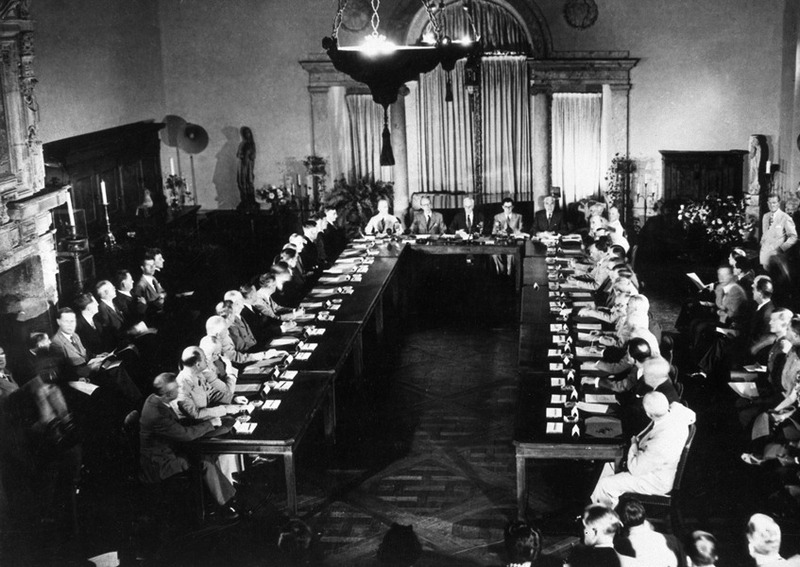 This meeting marked for the first time the establishment of an institution that would bring about bring about orderly development of the world economy in the post-Second World War era. 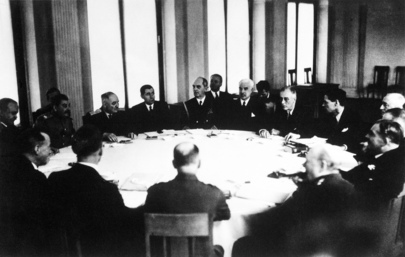 The first concrete step toward the creation of a general international organization was taken in the late summer of 1944, when the Dumbarton Oaks Conversations took place. 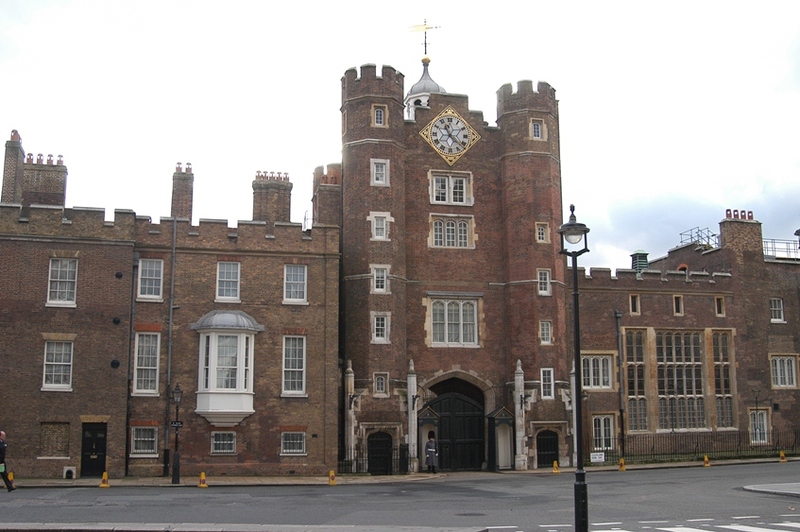 The first phase of the conversations was between the representatives of the U.S.S.R., the United Kingdom and the United States from August 21 to September 28, and the second phase between the representatives of China, the United Kingdom and the United States from September 29 to October 7. As a result of these conversations, the four powers reached a number of agreements which were embodied in the Dumbarton Oaks Proposals. 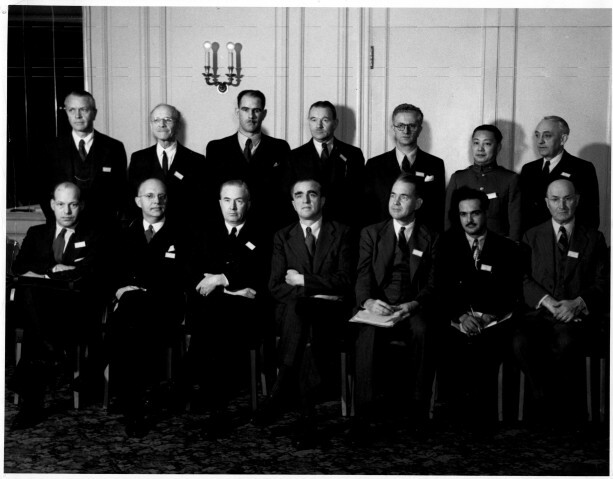 In December 1944, delegates from 52 States met in Chicago, Illinois and agreed upon the Convention on International Civil Aviation (also known as Chicago Convention). This agreement was signed on 7 December 1944 and formed the basis of air law both domestically and internationally. The Charter of the United Nations is the founding document of the United Nations. It was signed on 26 June 1945, in San Francisco, at the conclusion of the United Nations Conference on International Organization. In many countries the Charter had to be approved by their congresses or parliaments. It had therefore been provided that the Charter would come into force when the Governments of China, France, Great Britain, the Soviet Union, the United States and a majority of the other signatory states had ratified it and deposited notification to this effect with the State Department of the United States. On 24 October 1945, this condition was fulfilled and the United Nations came into existence. The Statute of the International Court of Justice is an integral part of the Charter.